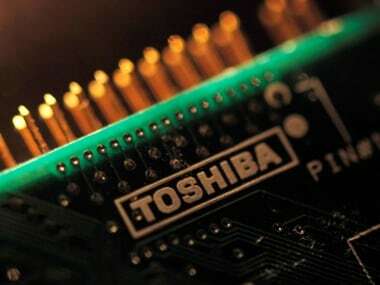 Toshiba’s board has approved a framework for a settlement and is aiming to reach a final agreement by next week. Toshiba maintained its full-year operating profit forecast of 430 billion yen, of which 419.4 billion yen would come from memory chips. Toshiba said that due to the tax impact, it expects a loss of 110 billion yen ($970 million) in the year to March. Toshiba will announce the agreement on 13 September and sign after a board meeting on 20 September. Toshiba failed to seal a deal to sell its prized chip business by a deadline, raising doubts about whether it can plug a balance sheet hole in time. The new offer comes as separate sources say Toshiba and Western Digital Corp are struggling to strike a deal. #Apple #Bain Capital #Western Digital #Westinghouse #Forrester #Toshiba Corp #NAND Chips #SK Hynix #Western Digital Corp.
Toshiba executives have been trying to sign a deal by the end of August because antitrust reviews by governments like China could last more than six months. A consortium led by Western Digital Corp is close to an agreement to buy Toshiba’s $17.4 billion chip business, with the WD’s CEO in Tokyo to finalize talks. Western Digital Corp, part of a group offering to buy Toshiba Corp’s memory chip unit, is not seeking a management role in the business. 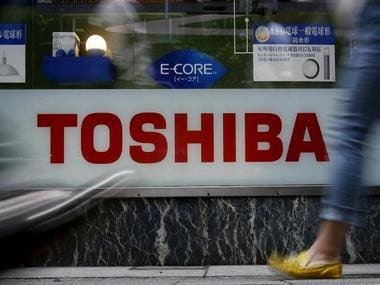 Toshiba Corp said it resumed blocking access by Western Digital Corp to data at their memory chip joint venture, intensifying its dispute with the US firm over the Japanese company's planned sale of the chip business.